My grandmother, who loved THE SHELL SEEKERS. 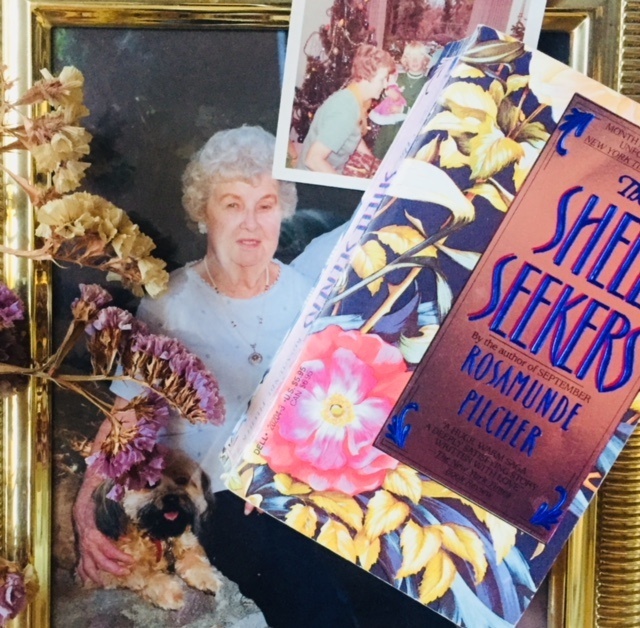 When I learned this morning of novelist Rosamunde Pilcher’s death, my first thought flew to my grandmother, my dad’s mom, who I spent much time with in my growing-up years. She and my Papa lived just a short drive away from my San Diego home, and my sisters and I spent our summer days at their house when we were out of school. My paternal grandmother, who was known as Grammary in the family, often took us to her local library on those long summer days, letting us poke about the shelves and check out books on her card, and she always came home with books for herself. She was yet another one of the people in my childhood years who exampled to me the love and joy of reading. 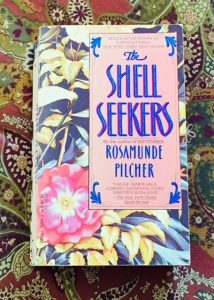 It wasn’t until my adult years, back when I was in my early thirties, when I hungered to be a novelist but didn’t think I could accomplish it, didn’t even know if it was in the realm of possibility, that she told me her new favorite novel was The Shell Seekers by Rosamunde Pilcher. She loved it, told me it was writing to aspire to, and gave me her copy which I still have. I read it and fell in love myself with this book that in mass market form is as thick as an Oxford dictionary. 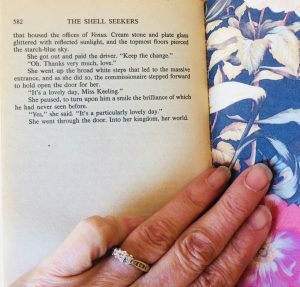 And in its own way The Shell Seekers did indeed nourish my desire to try my hand at novel-writing – even though it was another decade before I attempted it – every time I saw its ample spine on the bookshelf. But I read it thirty years ago and all I could remember about the book besides it being Grammary’s favorite was that I loved it too. 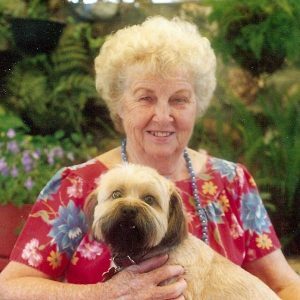 So when news of Pilcher’s passing reached me, I felt a pang of sadness – not just because a good writer had left us – but because the news reminded me of my Grammary, whose wit and jokes and cooking and hugs and love I miss. She lived into her nineties and saw me become what I wanted to be. I’m glad for that. And thank you, Grammary, for coaxing me to find my own little kingdom, in my own world. I am grateful. I loved that book as did my mother. I think I would like to read it again too. I loved that book too. 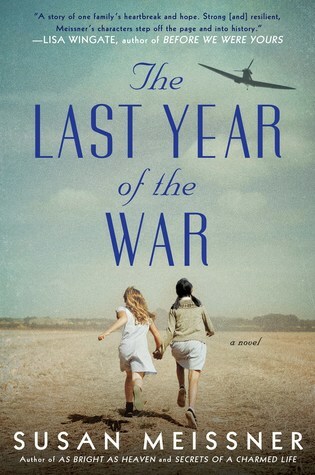 I read it after my Aunt Eva recommended it year ago. Now I think it’s time to read it again in her honor. One of my favorite books! 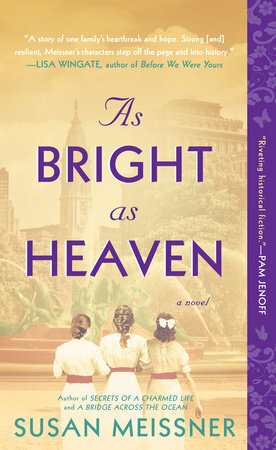 I read lots of Rosamund Pilcher’s books after I read it, and enjoyed all of them. But The Shell Seekers was the very best. Thank you, Mrs. Pilcher. May you rest in peace. Thanks for chiming in, Marianne! I agree. Time for a re-read!